Most gardens are designed for their visual appeal. 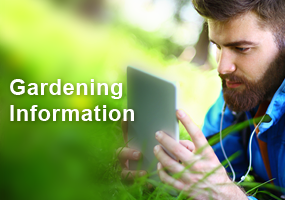 Sighted people often overlook their other senses when creating gardens. They follow the rules of color, texture, and repetition so the garden that results is pleasing to the eye. 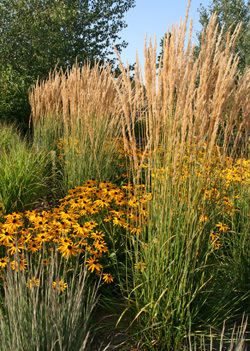 Tall ornamental grasses can provide sound in a garden. However, gardeners who are visually-impaired understand the importance of designing a garden to please the other senses as well. For example, placing wind chimes where they will musically dance in the breeze or planting tall ornamental grasses that rustle in the wind to stimulate our sense of hearing. 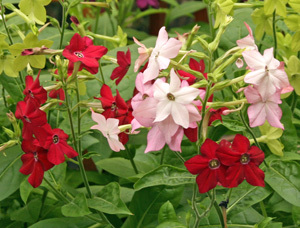 Many modern flower cultivars were bred for their appearance, not fragrance. 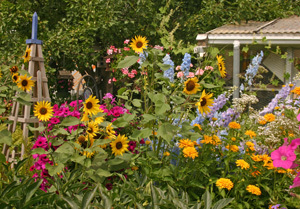 Another sense-stimulating garden design aspect is the use of scented plants. In today’s “bigger and better” hybrid plant world, fragrance is often lost when plant breeders develop flowers that are pleasing to the eye; but these flowers aren’t worth the effort to stoop down and smell. Look at the varieties of heliotrope available commercially today. Many have no fragrance at all when compared with the heliotrope of years past. Scent can originate from several plant parts but is often associated with the flowers. However, to truly appreciate aromatic plants, don’t limit your selection to flowers alone. You’ve likely smelled the musky fragrance of boxwood on a warm, sunny day. 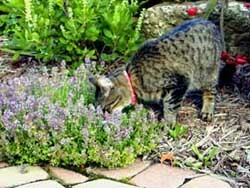 Similarly, herbs such as rosemary and thyme produce a wonderful fragrance when the leaves are crushed. Scented geraniums are a group of plants that have fragrant oils in the leaves. Some plants release their odor when touched, while others release theirs into the breeze. 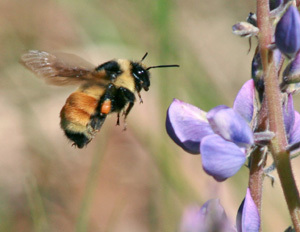 Flower scents help attract pollinators. Scent in flowers is thought to have evolved from waste products produced by the plants through normal metabolic processes. Over time, these scents attracted pollinators such as bees, butterflies, and moths to the plant. Skunk cabbage produces a stinky odor to lure in flies. 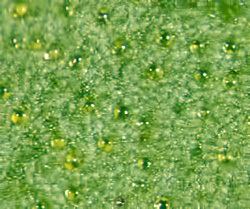 Oil glands on the underside of a mint leaf. Although less important than flower color, scent plays an important role in plant reproduction by attracting these, and other pollinating insects. 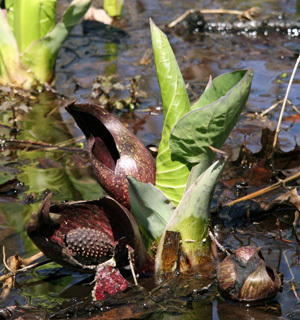 A less pleasant example is the putrid smell of skunk cabbage that uses its odor to attract carrion flies and other flesh flies that pollinate the plant. Plants also use scents to repel or kill insects or to communicate with other plants. This latter example involves the use of pheromones, chemical substances that are often imperceptible to the human nose. From a chemical standpoint, the fragrance of plants results from essential oils that are produced when an acid and an alcohol are combined. It is the alcohol component that gives the flower or foliage its characteristic smell. These molecules, technically called esters, tend to be heavier than the surrounding air and consequently are found close to the ground. Cats have a well-developed sense of smell. Did you ever wonder why a cat’s sense of smell was so highly developed while the sense of smell in birds is virtually non-existent? The answer may have to do with their exposure to scents because of their relative positions to the ground. 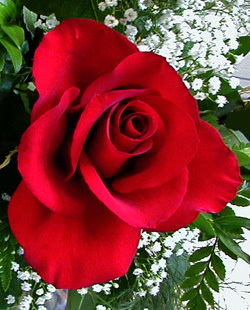 Roses have a distinctive fragrance. Fragrance is difficult to define due to the limited number of descriptive terms that can be used. Some of the common essential oils found in flowers include rose, violet, and jasmine while eucalyptus, lemon, and pine contribute to the scents of foliage. Some flowers such as orchids produce 100 essential oils while others may only produce ten. 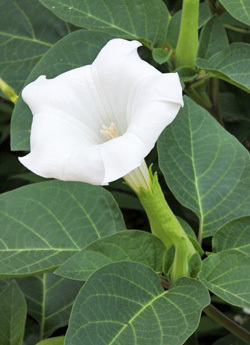 Many white flowers, such as this Datura, open late in the day. Many of the scented plants bloom exclusively at night. 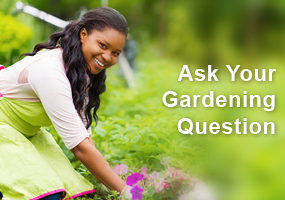 These plants typically have white, or light-colored flowers and are pollinated by moths. The nocturnal plants in the list below are denoted by an (N). Some of these nocturnal flowers actually open during the day but don’t release their fragrance until after the sun sets. Using fragrant plants in garden design adds another level of complexity beyond the visual appeal of a garden. There are many annual, perennial, herbaceous and woody plants that can contribute fragrance through their flowers or foliage. 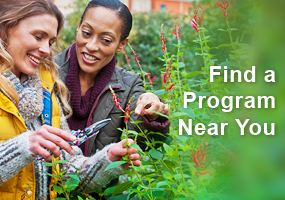 The lists (below) include just some that can be used in Wisconsin gardens (although all are not hardy throughout the entire state). 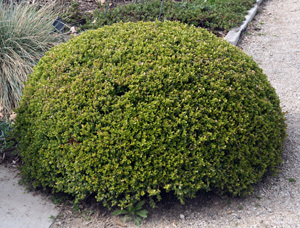 I did not know that the boxwood shrub has aromatic foliage. I do have some herbs in my garden and they smell great. I also have many lily’s in my garden and when they are in bloom the garden smells amazing. I think we all should take the time to stop and smell the flowers. It is interesting that bees and butterflies are attached by the scent of a plant.